Few carmakers passed the selection process of the automotive industry’s first decades of history. Many authors have dealt with the secrets of success. Tedlow (1996) identified a number of specific items that had a great impact on marketing strategies: the strategy of creating profit through volume; entrepreneurs having the talent and creativity to see new opportunities; the strategy of building an effective vertical system; the first-mover strategy of reaping high returns by building barriers against new entrants; the strategies of new entrants to attack those barriers; and success in the market being determined by how well the relentless change in competition and consumer behaviour was faced and managed. 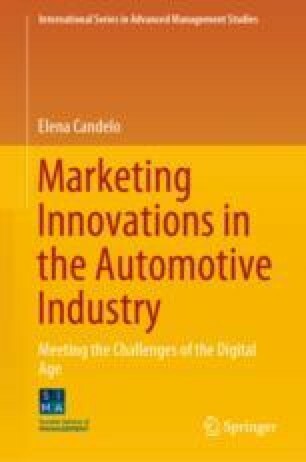 Some carmakers, led by exceptional entrepreneurs or managers skilled at coordinating mass production and mass marketing, obtained significant results in terms of profit and returns on investments. Others, attracted by these results, sought to enter new markets, but few succeeded in overcoming the barriers created by first-movers. The higher the barriers erected by first-movers, the longer they were able to hold onto their successes. In the car industry, one of the most relevant barriers is capital requirement.